Calc Flour Homeopathic medicine is used to cure the bones. It is beneficial for the puke pain in knees. During the joint pains, this medicine can cure well. Especially when the patient ways to go a lot to pee. While the Pee color is yellow. 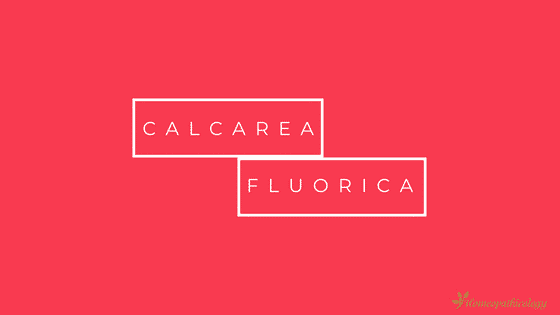 Calcarea flour works for a child patient having the pump on a skull which changes its position again and again. If your patient suffers from opacity after doing the eyes work. Calcarea Fluorica can cure successfully the eye wounds if the injury ends thick. Throat pain and tonsils including wounds increase with the cold and Pain increases at night. But it can be healed by drinking warm water. This medicine can cure the hard tonsils when Bryta Carb fails. At night the pain in the liver, which increases by lying to the side of the pain. By moving the body parts the paint decreases. Dysentery with the pain in joints and rashes near the sexual points. Including with the painful piles add hard moles. Bloody hemorrhoids with constipation, Homeopathy Calc Fluor remedy can treat your patient symptoms.